Shillong stands one among the top when it comes to preferred summer holiday destinations. To spend two years of one’s life at such a scenic beauty is more than a dream come true. To ice the cake, my campus is not just any building with roofs and windows. This is where the Mayurbhanj kings came to relax during summer. How lucky am I who gets to spend more than just the summer, unlike the Maharajas? While the current campus is still temporary, it has almost everything (in fact more) that caters to students’ needs. Because the whole of city is air conditioned, you don’t an AC, if at all anyone dares to switch on the fan that is available. We also get benefited from the smart boards in classrooms fitted with Promethean projectors that makes it much easier especially when the classes involved videos and presentations. Though libraries are common in any institution, the E-Resources that are offered here are second to none. The issue and return of books are done through Kiosk and Drop Box machine respectively. There’s this common misconception that network connectivity in hilly areas are below normal. Even if that was to be true, IIM Shillong is undoubtedly an exception to that. 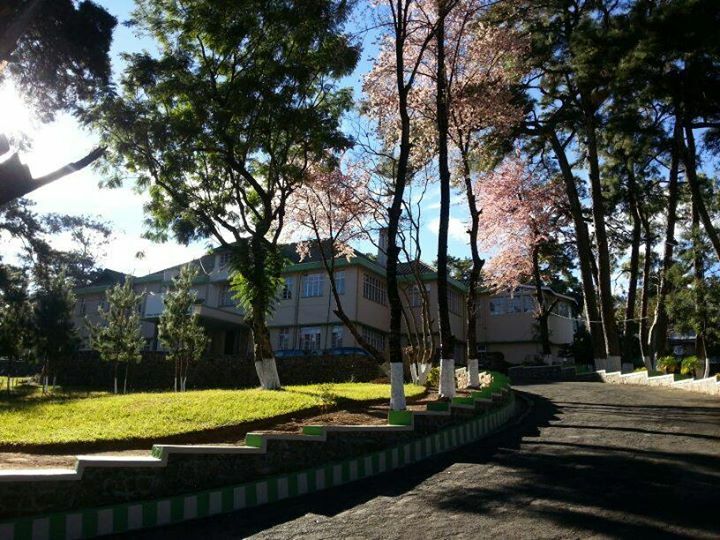 The institute is provided with high speed internet connection both via LAN and WiFi. The campus has its own ERP (Enterprise Resource Planning) and it has implemented modules related to student lifecycle, HR, Stores and Inventory, Finance and Accounting etc. This makes it convenient to access information at any point in time irrespective of the business hours. Hostel in the campus makes me feel at home. They have all the provisions one needs on a day to day basis and where else in India would we find a hostel with a room heater (to combat cold weather during winters). Services like laundry and housekeeping ensure that I can concentrate on my studies without having to think about anything. It’s more like an extended family and there are always people who can feed you when you’re hungry or to give you company to the canteen at the very least ,irrespective of what time of the day it is. IIM Shillong is a mini India in itself for the campus has people across the country from diverse academic, social and cultural backgrounds. We do learn a lot outside the classroom from the peer group, let alone the seniors who are always there to back up and impart all their experiences which I’m sure no textbook can offer. Students are the pillars of an institution and if everyone is unique in their own way, so will the college be. During my tenure as a business analyst for a period of 19 months, I had the opportunity to work for one of the leading telecommunication giants of the US. I learnt the intricacies in different business segments such as Mobility, PayTV, Broadband and OTT. I also have a good knowledge about the NPS and customer satisfaction metrics from survey data. This experience of mine, coupled with the knowledge that I would gain from the course at IIM Shillong would surely position me as a valuable resource to the company and help to maximize the footprint of IDEA network in the coming years.